From time to time, issues in the Maryland or Virginia Legislatures that effect NSHSA sailors may arise which need immediate publication. There are also issues at the Federal level that effect NSHSA sailors. This Forum is the device to get out the word on such issues. The regular report from the CBYCA will appear in the Portlight. Further, members may go directly to the CBYCA web page to follow such issues as they are reported to CBYCA members. The Maryland DNR is set to impose new fees on us! 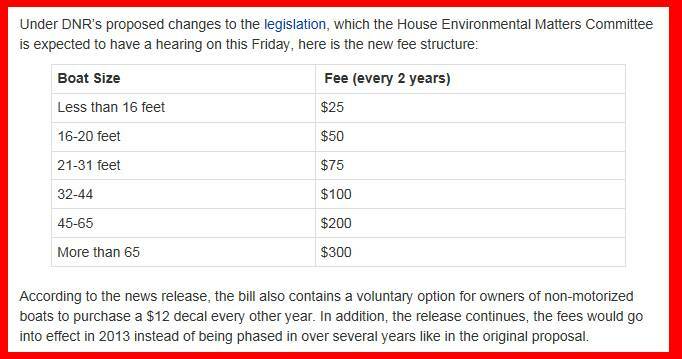 Basically, DNR has back down on the registration fees that were introduced in Annapolis reference, HB 1307. For more discussion click the “DNR Proposes Smaller Boating Fee Hikes” below. Check in with CBYCA ALERTS. Maryland requires boaters born on or after 1 July 1972 to take a boating education course, such as those offered by the U.S. Power Squadron and U.S.C.G. Auxiliary. Salvage or Tow? CLICK HERE for what you NEED to know.